The Neutrik NC3MP 3-Pole Male XLR Receptacle is the smallest traditional-style metal male XLR panel-mount connector available, and features large solder cups for hassle-free hard-wiring. 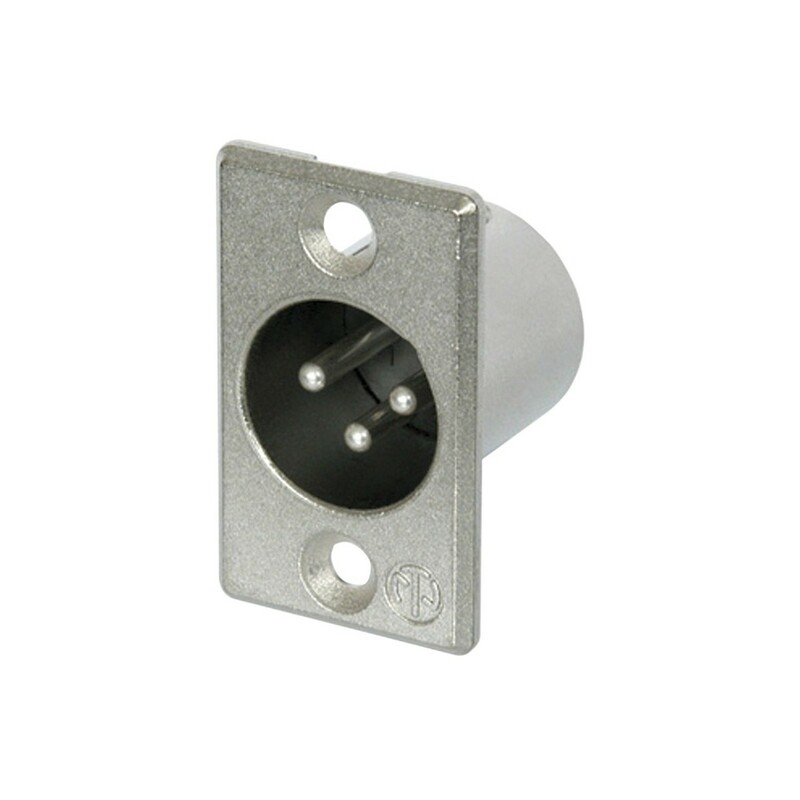 This 3-pole receptacle is equipped with silver-plated brass contacts housed within a nickel-plated die-cast zinc shell. Precisely made to Neutrik's legendary construction and performance quality standards, the NC3MP is a high-performance connector ideal for a wide range of applications.